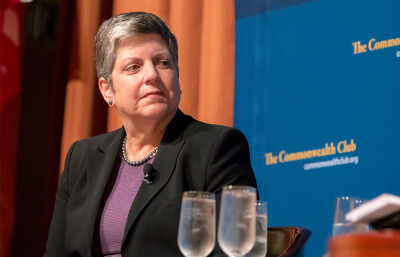 UC President Janet Napolitano has faced widespread opposition since being confirmed in July. Recently, however, some of her detractors have shown a willingness to cooperate with her. As UC President Janet Napolitano settles into her new position at one of the world’s most prominent institutions of public higher education, students, faculty and others who opposed her appointment are settling in for the long term as well. While many students were disappointed by Napolitano’s appointment, most appear ready to work with the president as she establishes herself in her new role. Still, many remain leery of Napolitano’s background. Her record on immigration as former U.S. Secretary of Homeland Security and governor of Arizona — and her overall lack of experience working in higher education — stirred controversy as far back as July, when the UC Board of Regents confirmed her appointment. Earlier this fall, student governments at UC Berkeley, UC San Diego, UCLA and UC Irvine passed bills expressing reservations about Napolitano’s presidency. The ASUC Senate’s bill said the body would express “no confidence” in Napolitano if she did not meet its list of demands by the third week of October. ASUC Senator Sean Tan, who authored the bill, requested an advisory opinion from the ASUC Judicial Council on a specific clause in the bill and is awaiting its reply before taking steps to finalize the senate’s stance. Since then, Napolitano has announced a slew of new goals and initiatives for the UC system, including freezing undergraduate tuition and allocating $5 million for financial aid, student services and advising for undocumented students. Tan said the latter helped alleviate some of his concerns about her presidency, although he sees potential hitches in how the money will be distributed. Tan also said he was bothered by Napolitano’s failure to make an official visit to UC Berkeley since she took office Sept. 30. 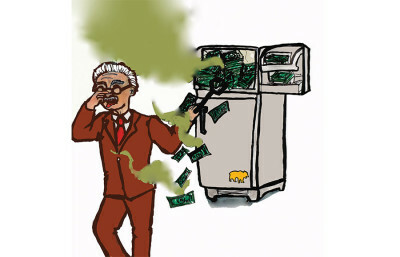 While Napolitano has visited the nine other UC campuses as part of a systemwide tour, she canceled an official visit to UC Berkeley in November that would have conflicted with preparations for Chancellor Nicholas Dirks’ inauguration, UC spokesperson Steve Montiel said. He added that the possibility of a December visit fell through due to conflicts with Napolitano’s schedule. UCSD Associated Students’ Vice President for External Affairs Vanessa Garcia, who voted in favor of her campus’s no-confidence bill, said that her conversations with the UC president have been candid and that Napolitano has stated she won’t respond to “rhetoric” from groups seeking her removal. The UC Student Association, a coalition of students and student governments from across the university, also debated a no-confidence bill in September, although the resolution failed in a 9-6 vote. ASUC External Affairs Vice President Safeena Mecklai, who also chairs the UCSA board, voted against the motion and called for caution as the UCSA began its relationship with Napolitano. Mecklai called the UC president a “listener” and said she appreciated her willingness to actively engage with students. Community members with a stake in the UC system have also met with Napolitano, addressing some of the same concerns students have. Thomas Saenz, president and general counsel of the Mexican American Legal Defense and Educational Fund, met with Napolitano and leaders in the Latino community before she announced additional funding for undocumented student services. Saenz said that he had serious initial concerns about Napolitano’s appointment but that the discussion in the meeting and Napolitano’s subsequent announcement were encouraging. Still, Saenz acknowledged a place for continued pressure on Napolitano in the form of protests and activism. Despite signs that Napolitano is at the university to stay, the advocacy group BAMN has continued to protest Napolitano’s appearances in the Bay Area, including the inauguration of Dirks and the UC Regents meeting last month. BAMN organizer Yvette Felarca said Napolitano’s record on immigration is “unacceptable” for a president of the UC system, regardless of her promised aid to undocumented students. Although some of Napolitano’s actions so far may be positive, Felarca said, BAMN will continue to protest the UC president until she resigns or is removed from office. BAMN has also circulated a petition on campus and in the community calling for Napolitano’s removal, although Felarca was unsure how many signatures the group had gathered so far. In addition to BAMN, the Student of Color Solidarity Coalition also continues to oppose Napolitano and has organized demonstrations promoting awareness of her background. Napolitano stated in a November press conference that she believes many groups are making judgments about her based on an incomplete “paper representation” of her record instead of on her actions as UC president so far. Still, UC Berkeley professor emeritus of education W. Norton Grubb said he has never seen a new president attract so much attention since he first arrived on campus as a researcher in 1973. 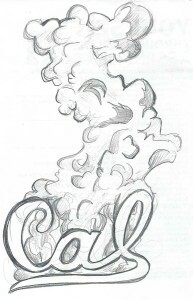 A previous version of this article should have included mention of the Student of Color Solidarity Coalition, which continues to protest against Janet Napolitano’s appointment as UC president.